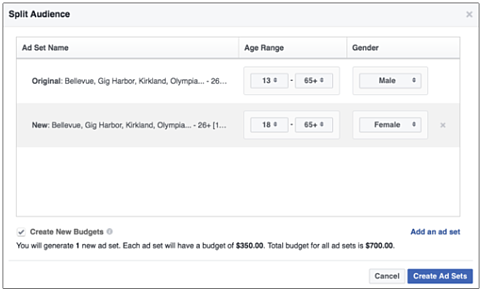 TL;DR The holidays are fast approaching and we wanted to give our readers some tips on how best to make their Facebook advertising campaigns successful. Here are three insights based on holiday advertising trends and practical tips to help close out the year successfully. Here are our tips to help make this Holiday Season successful. Just because Christmas is over does not mean you have to stop advertising. According to Think With Google, the “where to buy…” search phrase starts to ramp up until the 23rd of December. This might be because buyers expect 2-day or next day delivery in time for Christmas day or Christmas eve. As a result, they know they can afford to procrastinate on purchases until the last minute. The search continues even until the New Year as shoppers look for gifts for themselves or people they didn’t get a chance to see earlier in the Holiday Season. Another great insight that might help you to plan a successful campaign is that although advertisers are starting to push their products earlier and earlier in the season, consumers are taking longer and longer to make decisions. This combined with the fact that depending on how expensive or unique your product is, consumers might want to spend even more time comparing and finding out more about the product itself. So, you’ll have to consider if your product is a low-involvement or high-involvement product and based on that push the high involvement products even earlier. If you want to speed up the process of consumer purchasing, try a countdown or limited time offer. Use A/B testing to see which works or even if they work at all. Be aware that depending on your product’s level of involvement, a limited-time offer might not work unless the consumer has already whittled down their choices to 2 or 3 with very little to distinguish between them. Try a split test you can do this in Power Editor by going to Ad Sets, then click on Duplicate and under that choose Split Audiences. Be sure to give this a reasonable amount of time to test. Facebook recommends at least 4 days. Once the test is over, you can then create more ads based on the winning tactic. If you would like to create more than one audience and are a ROI Hunter client, then you can use “Segmentator” to create multiple audiences. Tip: Provide important information about your product that can be factors when making a decision. If your potential customer is looking for a winter jacket, then consider the following pieces of information, what lining does your collection of winter coats have, what kind of weather are they intended for, until what temperature will they keep users warm? If the $2.87 billion generated in online sales is any indication, which is about 57% of the total sales generated during Black Friday this year, online advertising should be an integral part of your advertising strategy. And mobile should factor into how you advertise online. Although mobile and tablet account for 54% of the traffic and only 37% of the conversions, it turns out that 75% of consumers research in-store and online before purchasing. Even if they do not convert online, if you have a physical location, there is a good chance they are spending this time in-store to conduct last-minute research before purchasing. Try to launch DPA ads based on proximity to your store and remarket to people who have shown interest in your products and even upsell while you have them in store. We created campaigns that helped with offline conversions for Tchibo, which was based on “Store Visits” and with Max Fashion based on the consumer’s loyalty card. A good way to capitalize on this mobile trend is to create eye-catching visuals. This can be done with a template editor. A good one will also take into consideration Facebook’s dimension restrictions so that the images from your product feed are resized perfectly. Our in-app template editor takes care off all of this and saves time transporting images from one app to another. For mobile, use Facebook Collections that was designed by Facebook for mobile users to better explore your products. Another tool to help you are slideshow dynamic product ads. They allow you to show off more of your products. Perhaps, the best tool to really attract customers is Dynamic Video. 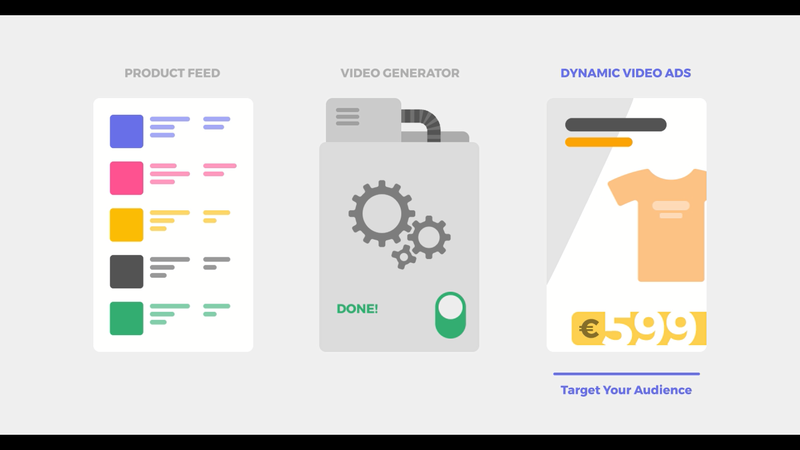 It uses a template that will allow you to create videos at scale in hours instead of days. Drive online sales with beautiful designs. Create ads specially built for mobile to drive conversions. Create in-store mobile options that will seal the deal and make consumers purchase immediately. The year is closing out and you want to end it on a high and meet your goals. This is not a complete list of all of the trends, tactics and tips that you can employ this season. The point of this, is to help you to give you ideas and a little direction as to where to invest your time and resources. Until the New Year, Happy Hunting!!! So, you’ll have to consider if your product is a low-involvement or high-involvement product and based on that push the high involvement products even earlier. Try to launch DPA ads based on proximity to your store and remarket to people who have shown interest in your products and even upsell while you have them in store.